For those playing along at home you have probably thought “this isn’t what she normally does”! And you are 100% correct! I have made a mess of reproducing people previously. But this Lady is one turned out wa-ay better than I could’ve dreamt, drawn or hoped! 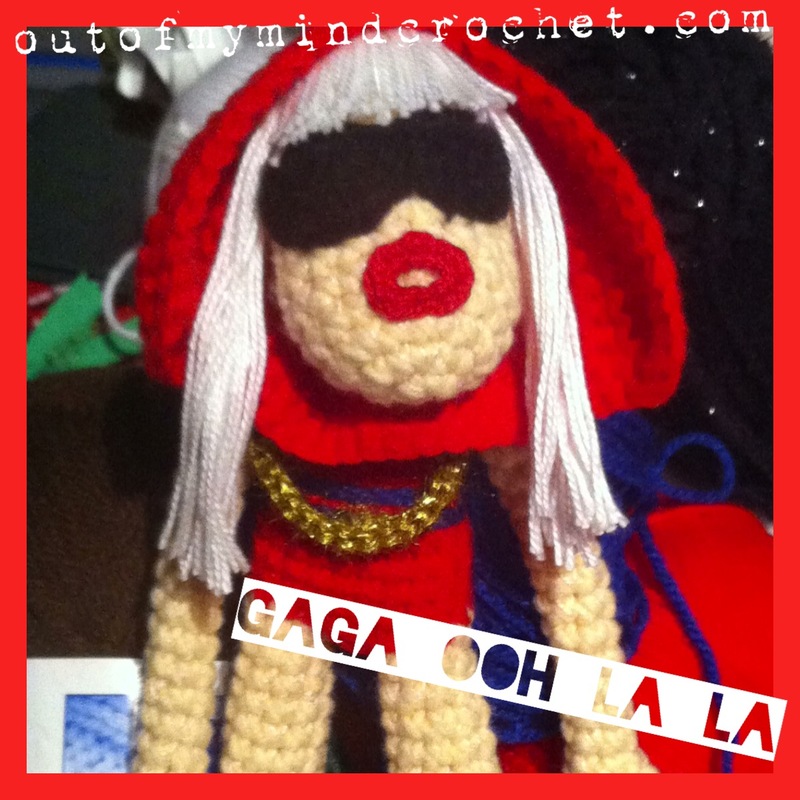 Crochet Gaga was a custom order for a friend’s daughter. Allie lurves Lady Gaga. Just quietly I have been delaying making her as I didn’t have 100% faith in my abilities. I think it’s the eyes that I struggle to get right. Monster eyes are a cinch! The devil is in the details. Getting human eyes correct is something that I will continue to work on and improve. Gaga wearing sunnies sure helped. The lips are another “part” I have botched up before. I worked out a different technique this time around. I am super happy with how they look and will certainly be replicating them in future projects. As for a pattern… well, I started writing as I went. There are ones for the arms, legs and about half the body. Once I got into the swing of it I stopped writing as I went. Oh well. Guess that makes her a one off piece. This entry was posted in Amigurumi, Crochet, Monster by Jessisko. Bookmark the permalink.